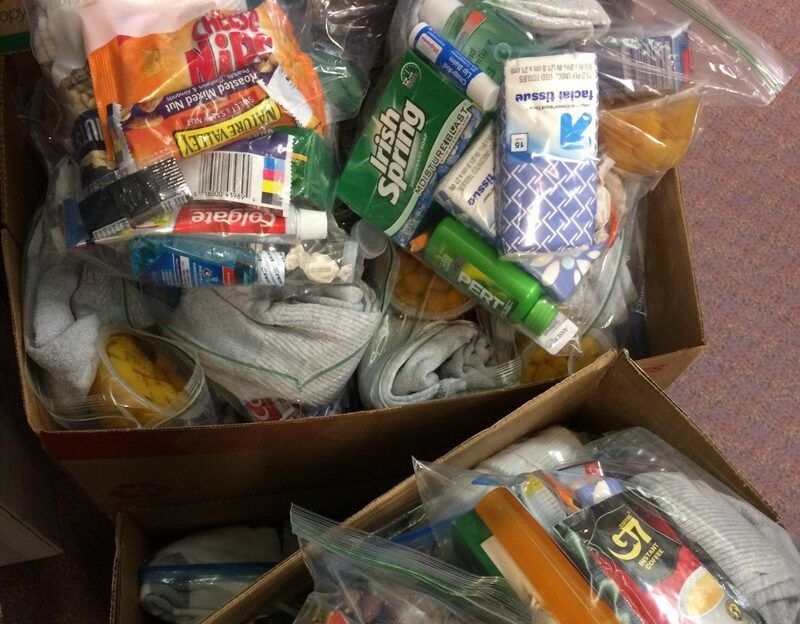 Generous employees from Kaiser Permanente put together dozens of care packages for our outreach team to hand out. Please call 510-601-2616 if you are interested in hosting a donation drive or making an in-kind donation of something other than what is on our wish list. See list below for what we do and do not accept. Items as listed on our wish list can be dropped of at the North County Housing Resource Center: 1901 Fairview Street, Monday-Friday 9:00am-12:00pm and 1:00pm-5:00pm. If the door is locked ring the bell or call 510-649-4965 ext. 620. We also have an Amazon Wish List﻿ for easy ordering.